It is scary to think that we are sharing this planet with robots that actually might end up having a mind of their own, just like this robot snake. In the 2.5-minute long video below, released last year by Kyoto University’s Matsuno Lab, a plasticized serpent noisily wraps itself around each rung, swiftly ascending then descending – with no human assistance. Maybe we should be afraid? "We [devised] a novel gait for the snake using a gait design method that configures the target form of the snake robot by connecting simple shapes," the group wrote in a paper, as reported by the website Future Timeline. 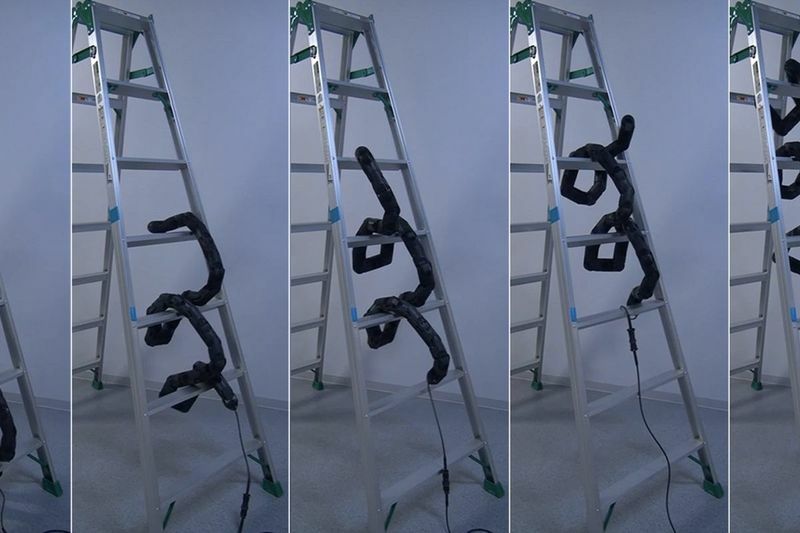 "The climbing motion is executed via shift control and the corresponding motion required to catch the next step on the ladder,” according to the paper’s abstract. “In addition, we developed a snake robot that has a smooth exterior body surface through construction of pectinate-shaped parts of the links." The pectinate muscles are parallel ridges in the walls of the human heart's atria. "We demonstrated the effectiveness of both the proposed gait and the design of the snake robot experimentally," researchers said. As terrifying as it would be to encounter this slithering cyborg in a dark corner of your garage or deep in the forest, the unnamed robot could come in handy during search-and-rescue or disaster recovery missions – able to navigate small spaces and rough terrain that humanoids can't handle, yet! Even humanoids like Boston Dynamics' parkour-esque Atlas bot, which made headlines for effortlessly traversing a set of steps more than half its own height.